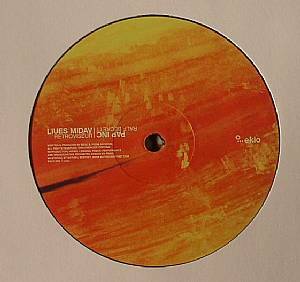 Liues MIDAV/PAP INC Retroviseur vinyl at Juno Records. 1. Liues Midav - "Retroviseur"
1. 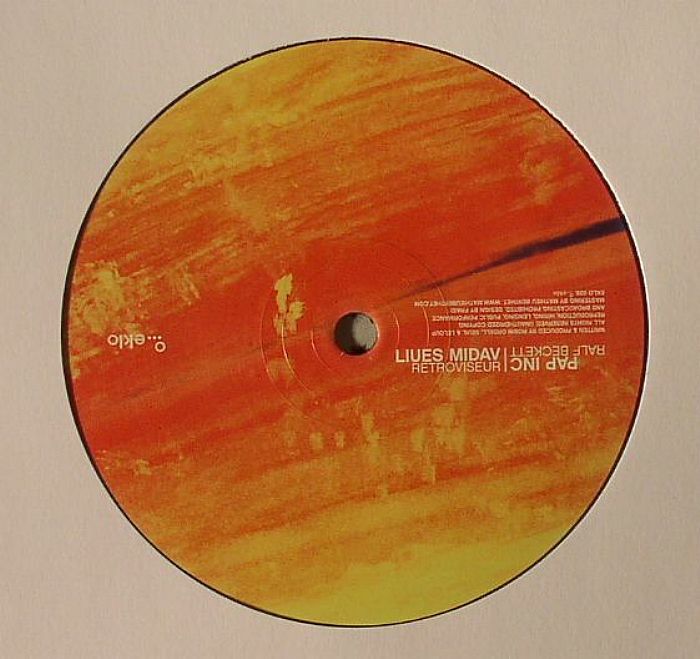 Pap Inc - "Ralf Beckett"
If you don't recognise either of the Pap Inc or Liues Midav names that line this latest release from the Eklo label don't worry. It turns out Eklo founder Seuil is responsible for both tracks here, which according to the label are the "fruits of a diverse collaboration" with compatriot and rising producer Vadim Svoboda. Listen carefully to both "Retroviseur" and "Ralf Beckett" and that much becomes apparent anyway, with the former notable for the jittery funk that keeps trying to escape the stripped back groove that keeps matters on a forward trajectory. Those wanting something with a bit more swing will love "Ralf Beckett" which pays subtle homage to the filter house that French producers excelled at.